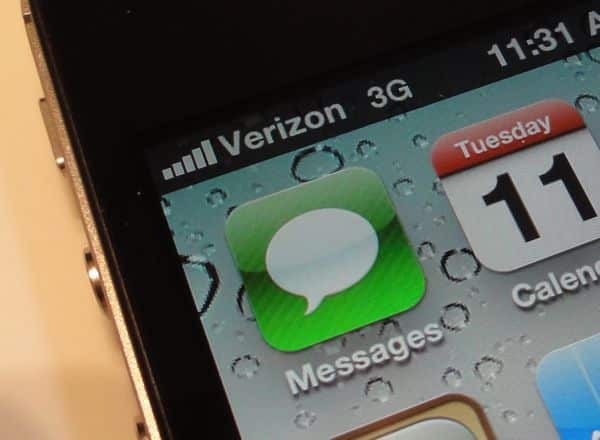 Thinking of jumping from AT&T to Sprint or Verizon Wireless? If you do, be warned: you can’t take your existing phone with you, even if it’s been “unlocked” to work on any carrier. Why? Because there are two very different flavors of cellular networks and phones in use around the globe: CDMA and GSM, and they’re about as compatible as dogs and cats. And yes, you guessed it: AT&T and T-Mobile use one of these competing technologies, while Sprint and Verizon use the other. Indeed, every wireless carrier in the world must choose between either CDMA (short for “code division multiple access”—yikes) or GSM (“Global System for Mobile Communications) cellular technology. In Europe and Africa, you’ll mainly find GSM networks; in Asia, CDMA pretty much rules the roost. Here in the U.S., we’re split more or less down the middle, with AT&T and T-Mobile using GSM, while Sprint and Verizon go the CDMA way. OK, so what’s the biggest difference between GSM and CDMA networks? The most obvious one is that GSM technology uses a tiny plastic card, called a “SIM” (short for “Subscriber Identification Module”), to identify a specific phone on its network. An AT&T SIM card in an iPhone 3GS. Plug the little SIM card from your carrier into a GSM-based phone (the SIM usually sits in a slot near the battery), and it’ll ring when someone dials your mobile number; remove it and put it into another phone, and the second handset will essentially become “your” phone. CDMA phones, on the other hand, don’t use SIM cards. Instead, CDMA carriers (like Sprint or Verizon) must program a specific handset to work with your mobile number. There are a series of other, often highly technical difference between CDMA and GSM (one being that CDMA phones only support a maximum of three people on a call at once, versus up to eight on a GSM phone), but here’s the bottom line: a CDMA phone won’t work on a GSM network, and GSM phones won’t work on CDMA networks. And unfortunately, there’s one more twist. 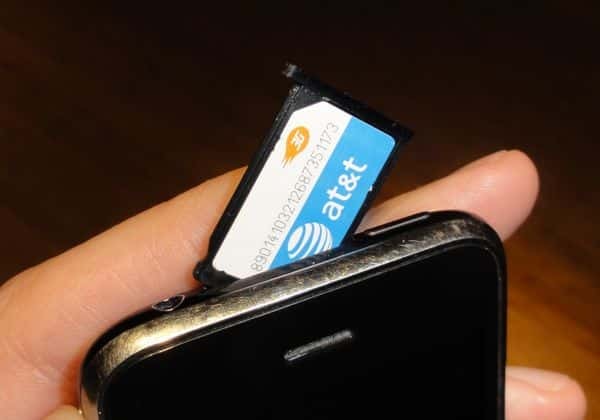 Theoretically, you should be able to plug your AT&T SIM card into a T-Mobile phone and start making calls; that said, most carriers “lock” their phones to their respective networks. For example, the AT&T iPhone is locked to AT&T’s network, meaning you won’t be able to use it on another GSM carrier, like T-Mobile. Those who want an iPhone that will work on any GSM carrier will have to shell out more than $650 for an “unlocked” version of the iPhone (which is sold directly by Apple, and doesn’t come with any carrier discounts—hence the sky-high price tag). Have more questions about the difference between CDMA and GSM phones and networks? Let me know!